When not casting the bird from his glove, MacTague will often position Manuka on a high perch. MacTague then attempts to startle and corral prey into the general direction of Manuka's position. From her perch, Manuka can dive on the unsuspecting prey. 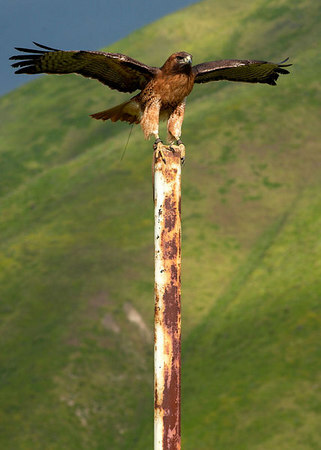 A similar sit-and-wait tactic is often used by redtails in the wild.